The South Sudan People Liberation Movement in Opposition (SPLM/A) is a political ethnic movement that contains both a political and military wing and is engaged in violent conflict with the South Sudanese Government. The SPLM/A leader is the former vice president of South Sudan, Dr Riek Machar. 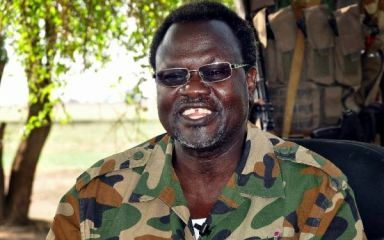 Leadership struggles between Machar and the President of South Sudan, Salva Kiir, resulted in the formation of the SPLM/A as a breakaway group from the Sudan People’s Liberation Movement (SPLM). The SPLM/A calls for the restructuring of South Sudan's government, the establishment of a federal system, judicial independence as well as public sector reform. Centre of OperationsThe SPLM/A strongholds are in the Unity, Jonglei, Upper Nile and Eastern Equatoria regions. SPLM/A in Opposition (SPLM/A) is an active group formed c. 2014.